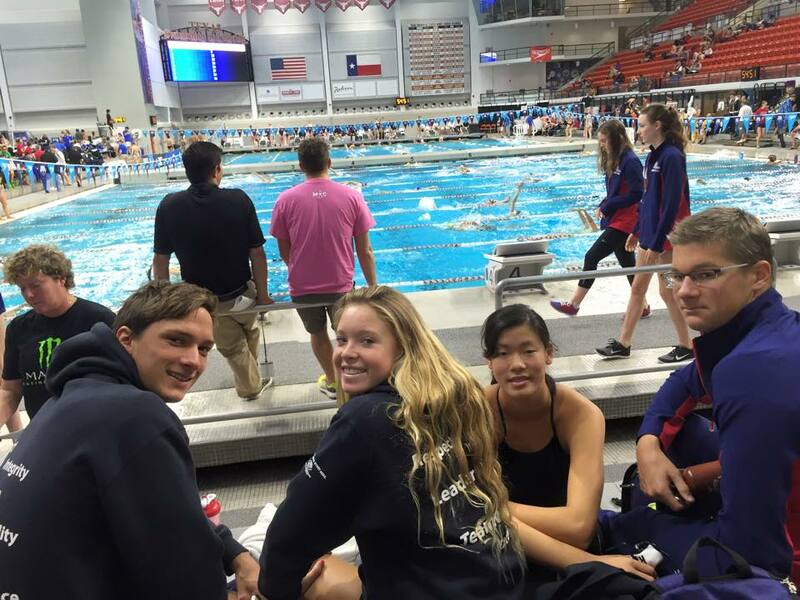 The national ranked Rancho San Dieguito Swim Team competed in the Speedo Winter Junior National Championships, held in Austin, Texas December 9-13. 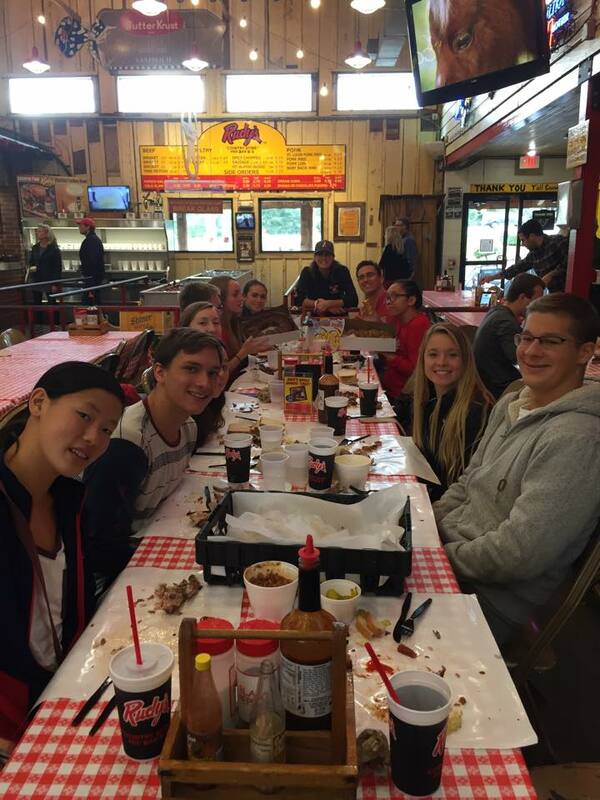 Coach Joe took the following four qualifiers: Rachel Rhee, Cora McClelland, Joshua Parmenter and Alec Dickstein. RSD had a very successful meet, with many personal best times, team records, and most importantly, lots of team fun and critical learning moments! 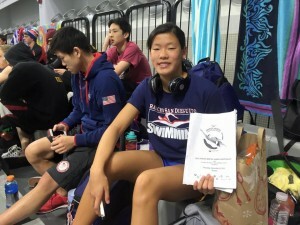 Rachel Rhee was incredible in her first National level competition. In the 50 yard free swim, she dropped half a second with a very fast 23.36, dropping 30 places and making it to the finals in her first swim at the National level. 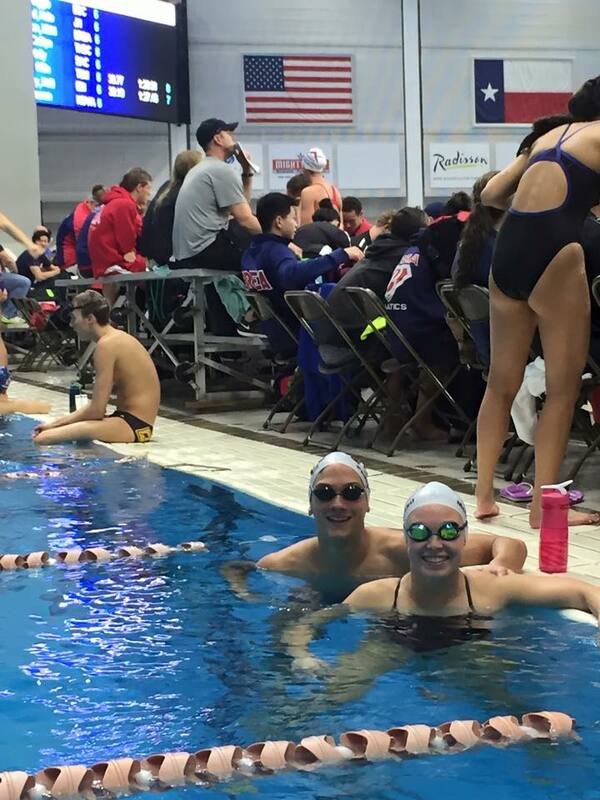 Rachel dropped almost 3 seconds in the 200 free with a 1:49.1, making finals again. 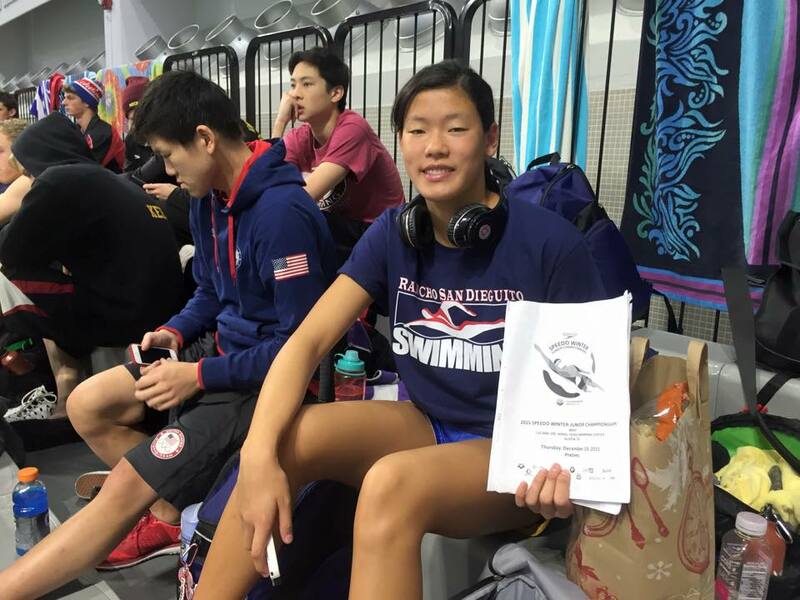 She also dropped in her 100 free with a 51.01 and swam a 26.62 in the 50m free, just a half second from Olympic Trials qualifying time. Josh Parmenter delivered his best performance of his career. He dropped 3 seconds in his 400 IM breaking the 4 minute barrier with a 3:59.7, which allowed him to perform in the bonus final later that evening. Josh also dropped 3 seconds in his 200 breast which brings him to a 2:01.82 and made it to finals. Cora McClelland had a successful meet swimming her lifetime best in the 100 and 200 butterfly. Alec Dickstein enjoyed the experience of competing in his first national level competition with a 3 second drop in his 200 yard breaststroke swimming a 2:06.16. The RSD coaching staff is very proud of these four young men and women and are proud to have them represent our team at such a prestigious meet. As usual, the RSD team values; respect, integrity, leadership, excellence, quality and teamwork, were very well represented and it was a fun and enriching experience for all involved! Learn more about RSD swimming at www.rsdswimming.org or visit their Facebook page here.